Although the snow may look beautiful as it covers the landscape it may leave a path of destruction. 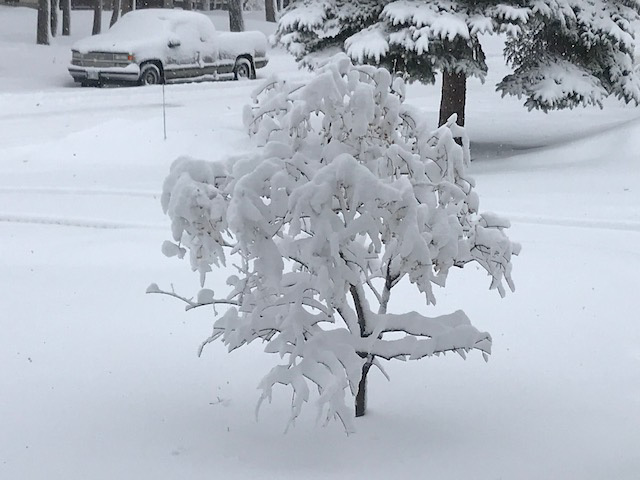 After the heavy snow that fell it is important to try and knock some of this snow off the branches of any heavily laden trees and shrubs in our yards. 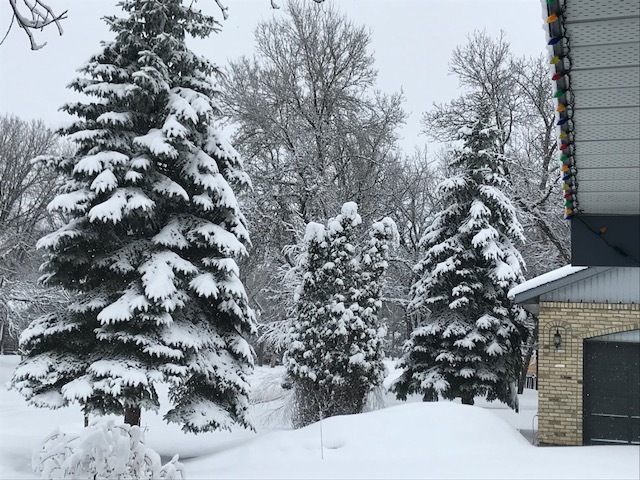 Small trees, shrubs and Cedars are especially prone to damage from heavy wet snow. Tree and shrub branches may split and cause damage that may require pruning. In some cases multi trunk columnar cedars may develop a pronounced lean and may need to be tied back together to re-establish their columnar form if this snow isn't cleared away in a timely manner. If you need help with any of this please contact Parkland Tree Care Ltd for advice or assistance.